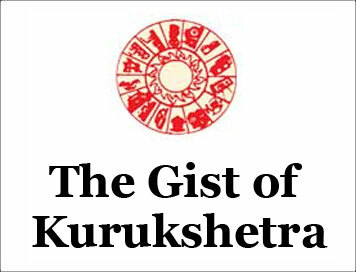 (The Gist of Kurukshetra) DIGITAL HEALTH SERVICES: SOME KEY INITIATIVES [DECEMBER-2018] | IAS EXAM PORTAL - India's Largest Community for UPSC Exam Aspirants. ASHA workers can use their babies from infection or dehydration, how to breastfeed, and how to identify symptoms of serious illness. If a mother or baby needs medical attention, an ASHA can use msakhi to quickly refer them to a doctor who can help. Kilkari app: kilkari, which means ‘a baby’s gurgle’, delivers free, weekly, time-appropriate 72 audio messages about pregnancy, child birth and child care directly to families’ mobile phones from the second trimester of pregnancy until the child is one year old. Kilakarai has been launched in Jharkhand, Odisha, Uttar Pradesh, Uttarakhand and High Priority Districts (HPDs) of Madhya Pradesh and Rajasthan in the first phase. Mobile Academy: It is a free audio training course designed to expand and refresh the knowledge base of accredited Social Health Activists (ASHAs) and improve their communications skills. Mobile Academy offers ASHAs a training opportunity via their mobile phones which is both cost-effective and efficient. It reduces the need to travel sometimes great distances-and provides them the flexibility they need to learn at their own pace and at times they find convenient. Mobile Academy has been launched in Jharkhand, Madhya Pradesh, Rajasthan and Uttarakhand. M-Cessation: This programme being provided as part of any mHealth initiative, aims at reaching out to those willing to quit tobacco use and support them towards successful quitting through text messages sent via mobile phones. When offered along with traditional services, M-cessation has been found to be cost-effective in comparison to other conventional options for cessations support. e-Hospital: It is an online registration services framework portal where people can avail online online services such as registration and appointment pay fees, view diagnostics report and check for the availability of blood in governments hospitals in this portal. It was introduced by the Government of India, to encourage the use of technology to connect and empower people in areas related to health. This type of service offers great relief to the people who run from one pillar to another pillar to secure blood during the hospitalization period. e-hospital portal provides simple appointment process for the process for the patients . It provides a detailed list of a total number of hospitals and various departments in a particular hospital to the user. One can choose from the list of available hospitals as per the particular hospital to the user. One can choose from the list of available hospitals as per the preferences and requirements. The patient has to authenticate using Aadhar number then select the hospital which he wants to visit and then select the department and the date of appointment. After filling up the required details, he receives an SMS with information related to the appointment. The hospitals can provide appointment slots for patients through this platform, the hospitals can manage the registration , appointment process easily and monitor them. ANM online (ANMOL): ANMOL is aims to improve the quality, effectiveness and timelines of the delivery of quality services, specially to rural populations, to ensure better healthcare for women and children. The applications aims at bringing awareness to the remotest populations, underreserved and communities and urban slums and through images and videos, and educating them about initiatives on health, maintenance of good hygiene, basic health care and precautions. Mera Aspataal: It is a Government's of India initiative by the Ministry of Health and Family Welfare, to capture patient feedback for the services received at the hospital through user-friendly multiple channels such as Short Message Service (SMS), Outbound Dialling (OBD) mobile application and web portal. The patient can submit the feedback in seven different languages on mobile app and web portal; for the hospitals visited in last 7 days. The patient can also check the already submitted feedback. The collected feedback is complied, analysed and visualised in the form of dashboard accessible to the different stakeholders at facility, district,state and national level.